Rimmel Wake Me Up Foundation - I accidentally left this in my 'empties drawer' last time I did one of these posts and forgot, so I've photographed it and written about it again... oops! I haven't gone through an entire bottle in a month, this is the same bottle (I'm just forgetful and dumb!) My views are still the same though; This is definitely my favourite drugstore foundation ever. I love how illuminating it is, especially because I get such dull skin this time of year, the tiny glitter particles in the foundation don't make you sparkle, but they give a lovely glow to the skin. I will 100% be repurchasing. Rimmel Bronzer - This was in last months empties too, but that's because I have repurchased and ran out again! I use this all the time, it my go-to bronzer due to the fact that it's pretty cheap and it is completely matte, so I can use it to create a natural bronze colour on my skin, and to contour. I've already bought another one of these, and I will continue to do so forever and ever! 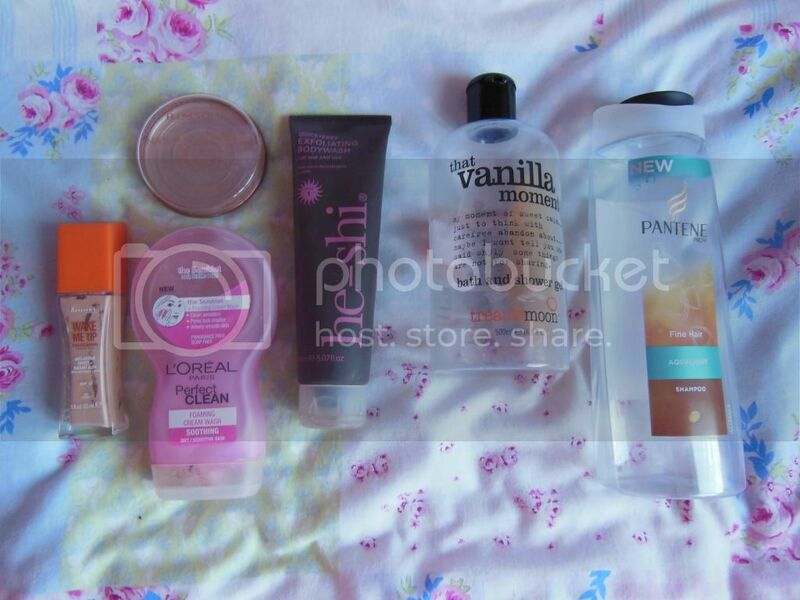 (I will however stop featuring them in every single empties post that I write). L'oreal Perfect Clean Facewash - Another of my holy grail products... I love the scrublet which comes with this product, and after using it I always feel like my skin is ten times softer than it was before hand. I use the dry/sensitive skin facewash which really suits my skin type. Although I don't use this as part of an everyday skincare routine, I tend to use it every other day in the shower (or on the days that I'm too lazy to cleanse, tone, moisturise!) I've repurchased this lots of times, and I will be doing the same again. He-Shi Exfoliating Bodywash - This stuff smells beautiful, it's strawberry scented and reminds me of strawberry milkshakes that I used to drink when I was younger - yum! It's got a gel kind of consistency, with lots of exfoliating particles in it. I've been using this to buff my arms and legs before fake tanning and it leaves me totally smooth, ready for application. It's a really lovely product, it's just a shame that it's quite pricey for an exfoliator. I would buy it again, but only as a treat. Treacle Moon That Vanilla Moment Bath & Shower Gel - The fact that I mentioned this in my April favourites post, and I've only just finished the bottle, just proves how long this lasts (and I've been using it in every shower I've had). It smells amazing and really nourishes my skin. I've got the coconut variety on the go at the moment, but these are my go-to shower gels for the future, I've just got to decide which to try next! Pantene Aqua Light Shampoo - I never settle on a shampoo, I like to try different ones all the time, just so that my hair doesn't get too used to a product. This was a huge bottle which lasted quite a long time, so it was definitely good value for money. I like the fact that it's clear (to me it feels like I'm putting something extra clean on my hair when it's transparent) and it really suited my hair type. It didn't leave my hair feeling lank, infact it did the exact opposite, and left my hair really light and not volumised, but quite fluffy?! Kind of like baby hair! It doesn't have much of a smell, which is a let down for me, but it did a nice job. I'm sure I will buy this again at some point, but I'll be trying something new for the next few months. I still have the conditioner on the go and the moment. You can see my first empties post here. And don't forget to enter my Christmas Present Giveaway if you haven't already... only a week left! 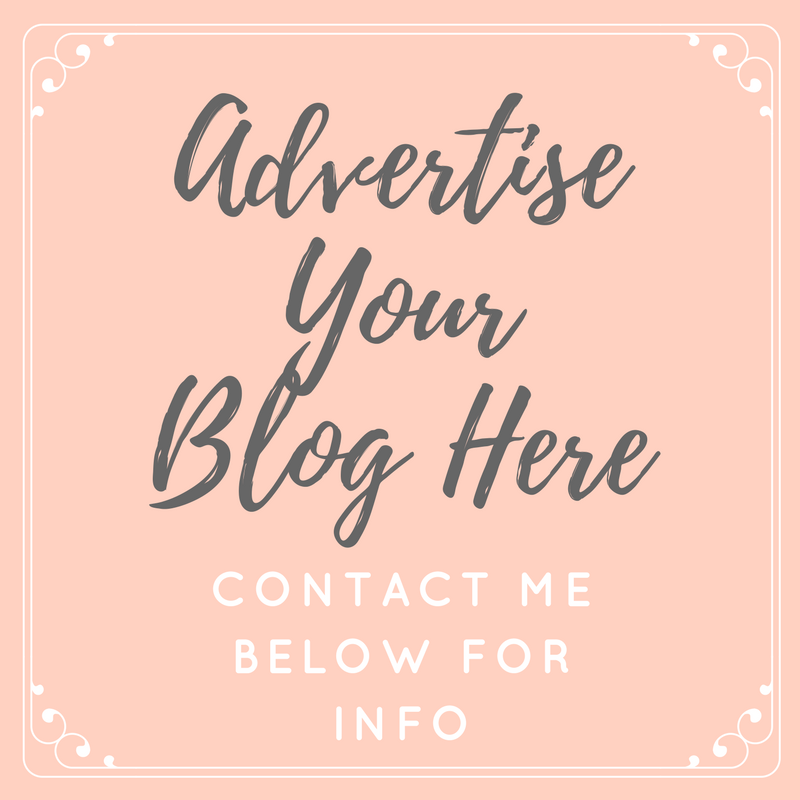 Great post, I really like the Rimmel foundation!